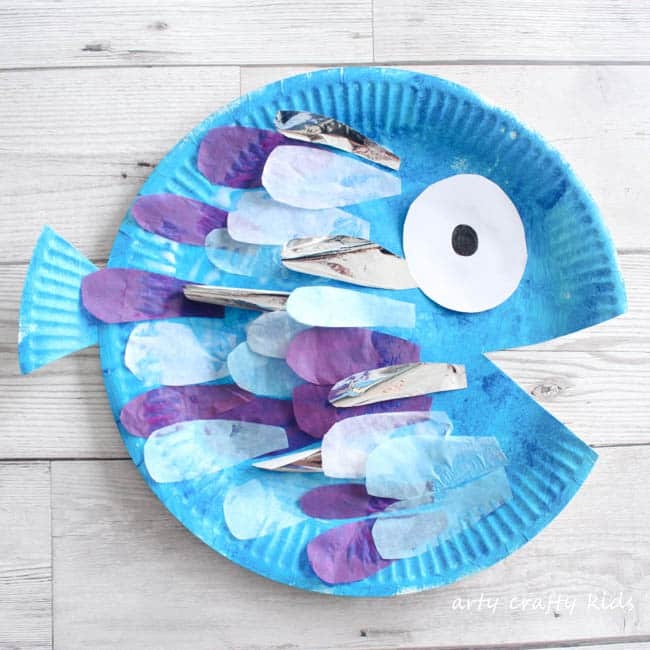 Inspired by the gorgeous picture book ‘The Rainbow Fish’, we’ve created our very own ADORABLE paper plate Rainbow Fish craft. The more observant of you will notice that our rainbow fish is less rainbow and more purple,white and blue with a fleck of the essential silver. Well sometimes you just have to work with the materials you have to hand and as far as my kids are concerned, it’s just like the Rainbow Fish character they adore! That aside, with lots of painting, cutting and sticking involved, this is a great craft for developing fine motor skills. 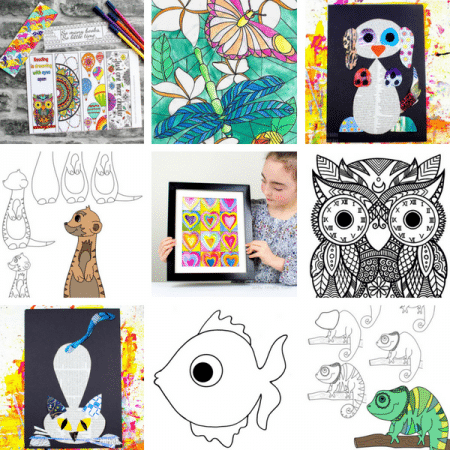 And of course, while we’ve based our fish on ‘The Rainbow Fish’, Arty Crafty kids are free to present their fish however they choose and are encouraged to explore their creativity and simply go with the flow. 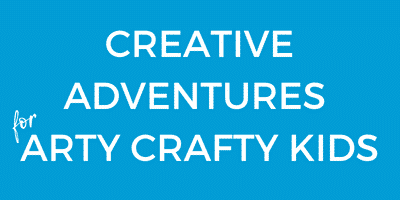 To see the craft in action, check out our short video tutorial and to see more of our crafts, sign up to our new YouTube Channel! 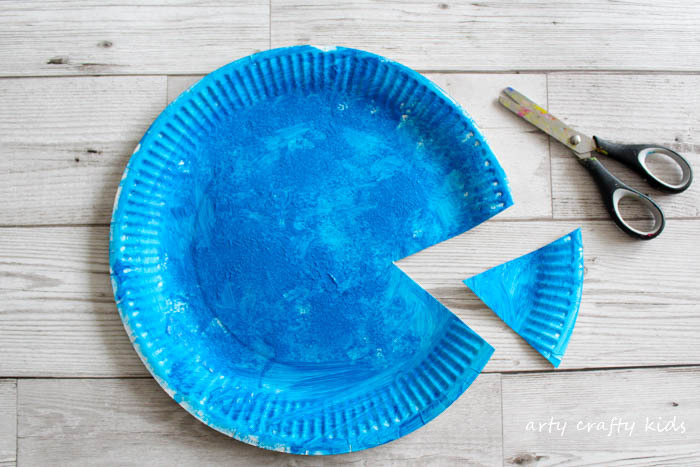 To begin, paint the paper plate. Preschoolers and young children like to paint and use lots of it! Depending on the quality of the paper plate there’s potential for it to get very soggy and take a while to dry. 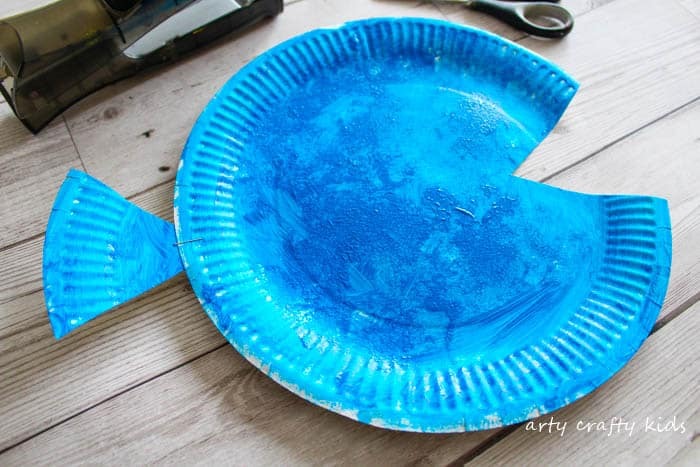 Try swapping the paintbrush for a sponge and this ‘should’ prevent ‘over use’ and soggy paper plates! Once the paper plate is dry, cut out a triangular shape to create a mouth and staple the triangle to the opposite side to form a tail. Next, cut out multiple pieces of coloured tissue paper and begin sticking the tissue paper to the paper plate to create scales. 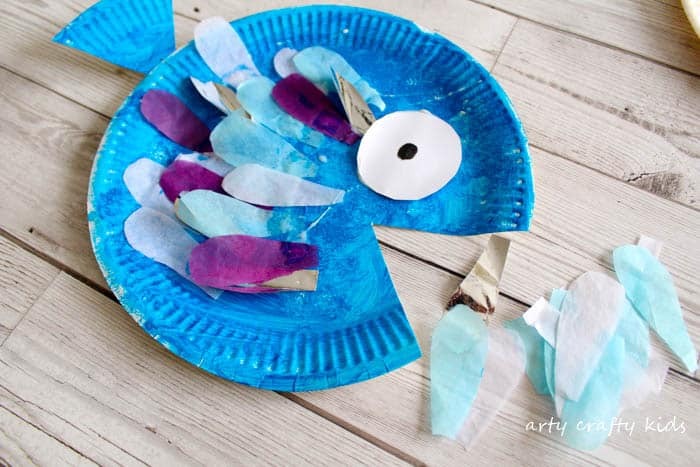 Finish off with a large paper eye and ta-da, your Arty Crafty Kids should now have a gorgeous colourful Paper Plate Rainbow Fish Craft. 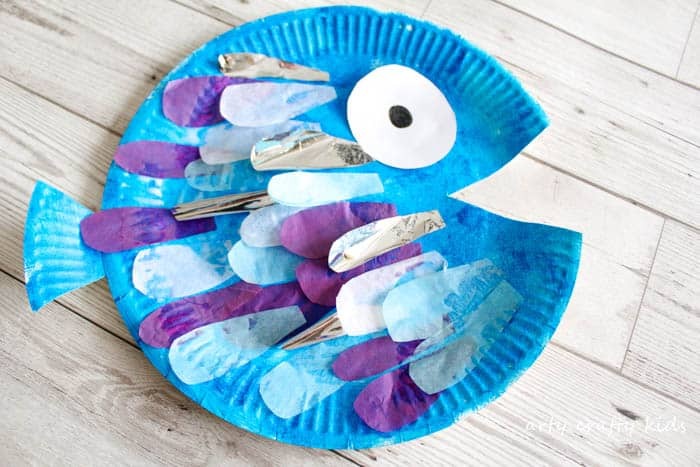 For more fishy craft to try, take a look at our Puffy Bubble Wrap Octopus, Paper Plate Goldfish Bowl and Paper Plate Jellyfish.